Cerebral palsy is a group of symptoms—a disorder, not a disease. Damage to the parts of the brain that control muscle movement is what causes cerebral palsy. Birth injuries and poor oxygen supply to the brain (cerebral hypoxia) before, during, and immediately after birth cause 15 to 20% of cerebral palsy cases. Cerebral palsy affects two to four infants for every 1,000 newborns. Cerebral hypoxia is a poor oxygen supply to the brain. If the brain is completely deprived of oxygen, the condition is referred to as cerebral anoxia (asphyxia is a severe shortage of oxygen to the entire body). Cerebral palsy results from damaged cells in the brain’s motor control center. Brain cells are extremely sensitive to oxygen deprivation. Some start dying less than five minutes after the oxygen supply is deprived. If brain cells that should be controlling muscles die due to lack of oxygen, there is poor muscle control, which is a symptom of cerebral palsy. Issues after delivery that can lead to cerebral hypoxia can include severe prematurity, severe lung or heart disease, serious infections, trauma to the brain or skull and congenital malformations of the brain. Pregnant women with conditions that may lead to cerebral hypoxia should be closely examined by their physicians. Fetal heart rate monitoring before birth can help prevent hypoxia, since abnormal fetal heart rate and distress can indicate the need for an immediate Cesarean section. 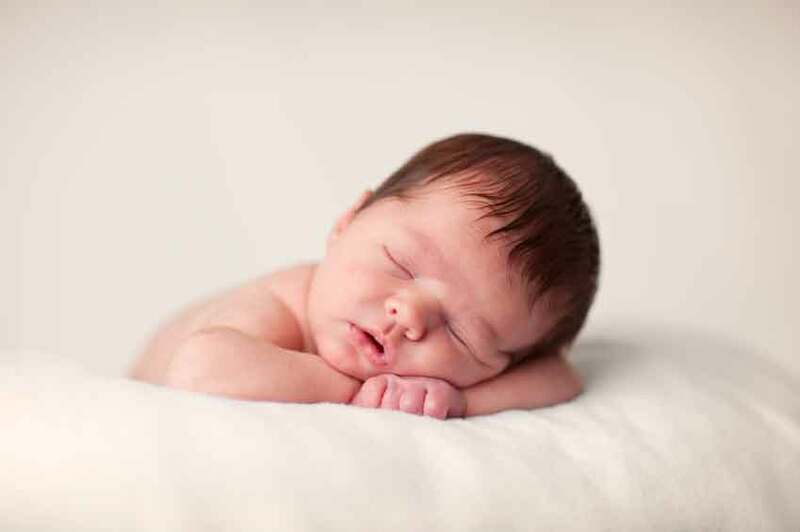 During birth, the umbilical cord is normally checked and it may be moved to prevent breathing problems for the newborn. Cerebral hypoxia in a newborn is considered a medical emergency. If there are signs of cerebral hypoxia, such as abnormal coloring or behavioral problems, the response should be to try to restore oxygen flow to the brain and prevent any further damage. Clearing the airway after birth may prevent hypoxia, especially if the newborn may have inhaled contents of the amniotic fluid. If the reason for the hypoxia is not clear, the medical staff might use a number of tests to determine the source of the problem so that it can be corrected as soon as possible. Symptoms of cerebral palsy caused by hypoxia appear during infancy or preschool years. Once the brain damage has occurred, it does not get worse, though the symptoms may change as the child grows and matures. In general, cerebral palsy causes impaired movement associated with exaggerated reflexes, floppiness or rigidity of the limbs and trunk, abnormal posture, involuntary movements or unsteadiness in walking. Epilepsy, blindness or deafness also may be present. To determine if a child suffers from cerebral palsy, a physician will take a clinical history and give a physical exam. Tests may include magnetic resonance imaging (MRI) of the brain, an electrocardiogram (EKG) to establish the brain’s electrical activity, blood tests, an electroencephalogram (EEG) to test brain waves, and a test called Evoked Potentials. That test determines whether sensations like vision and touch reach the brain, causing an electric response. Treatment for cerebral palsy can include physical and occupational therapy. Braces may improve muscle control and walking. Tendons of the stiff muscles that limit motion may be surgically cut or lengthened to improve mobility; cutting certain nerve roots coming from the spinal cord reduces spasticity. Speech therapy may make speech much clearer and help with swallowing problems. Drugs may also help relieve symptoms of cerebral palsy. If your child has been diagnosed with cerebral hypoxia-related injuries, seek expert legal counsel to protect your legal rights and the rights of your child. The birth injury lawyers at Eisbrouch Marsh can discuss your situation and help determine if medical malpractice or negligence played a role in your child’s injury. Were signs of hypoxia present during labor? Did doctors react in a competent and timely manner to these symptoms? Our attorneys can review the circumstances of your pregnancy and delivery and determine if you are eligible to pursue legal damages. Statutes of limitation govern malpractice cases, which limit the time in which these cases can be filed, so families should contact an attorney as soon as possible. The attorneys at Eisbrouch Marsh have won substantial settlements for victims of birth injury malpractice and are available for a free evaluation of your case. There are no fees unless you win your case. Call us today.